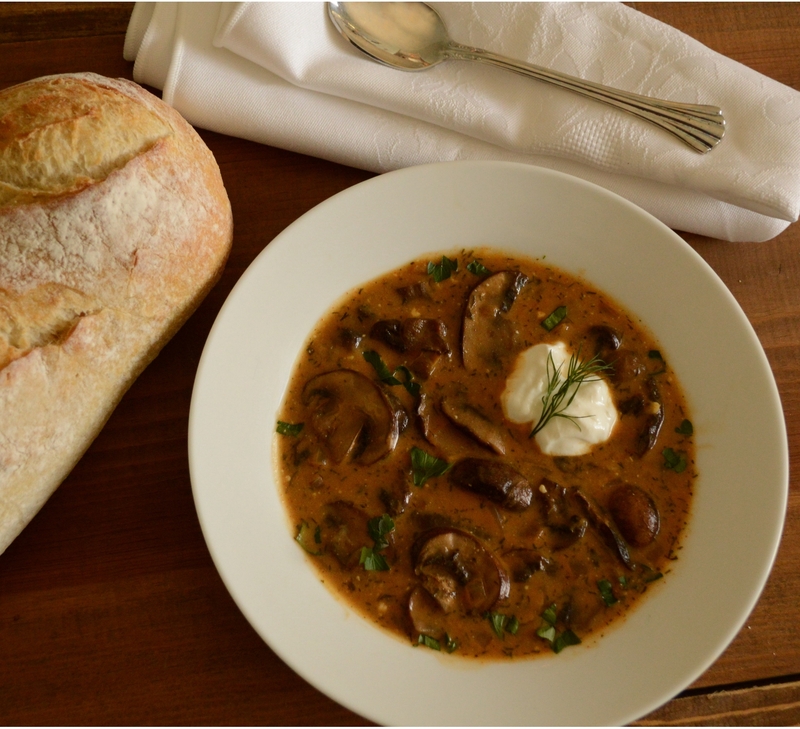 Hungarian Mushroom Soup Garnished with Sour Cream and Sprig of Dill. My family begins to gather around the table for dinner. The way we do most nights. One by one, each boy wanders into the kitchen. Waiting on his brothers, both younger and older, my middle son softly taps out a tune against the worn farmhouse table. The tines of his fork leave behind an interesting pattern of divots in the soft wood. Early in my mothering, the patina of raising young boys was under appreciated. Not always welcomed on furniture or otherwise. Somehow back then, the shiny and unblemished gleam of the new and unchanged appealed to me. But children bring perspective. They also bring laughter and so many Legos. And then there are the lines. The worry ones worn on my brow and on some days, the dry-erase but permanent ones discovered on freshly hung Thibaut wallpaper. Sweat and tears; they bring it all.